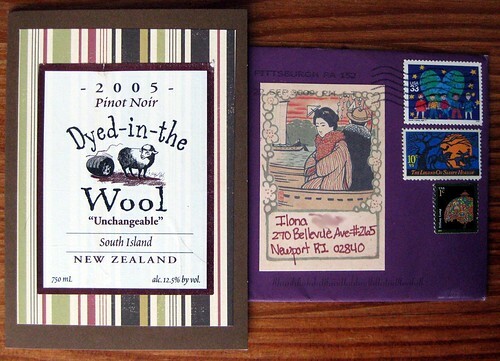 The lovely PostMuse, who does far more than just postcards, send me this crafty card made from a wine bottle label. She said the wine wasn't anything fantastic, but I think the label makes a mighty fine card! 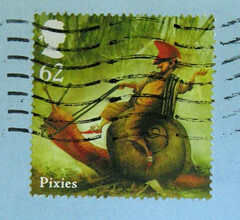 I'm most taken with the label on the envelope, though - I've never seen anything like this before but I love it. 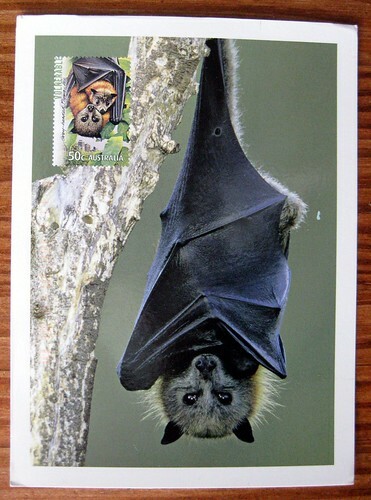 And, because she is awesome and she knew I would love it, she enclosed this large Australian postcard of a flying fox, a large fruit bat, with the matching postage on the front. 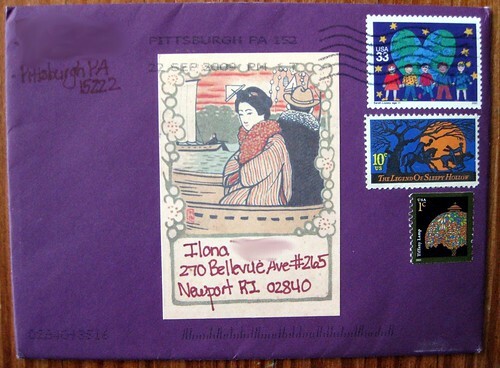 It's used, and someone else sent it to her, but of course I adore the bat image. Flying foxes are the COOLEST of bats. Aren't they just gorgeous creatures? I certainly think so. Thats such a good idea with the wine bottle label, i might try something like that one day.